PDF Page Numberer tool does not require installation of Adobe Acroabt to add bates number in PDF files. 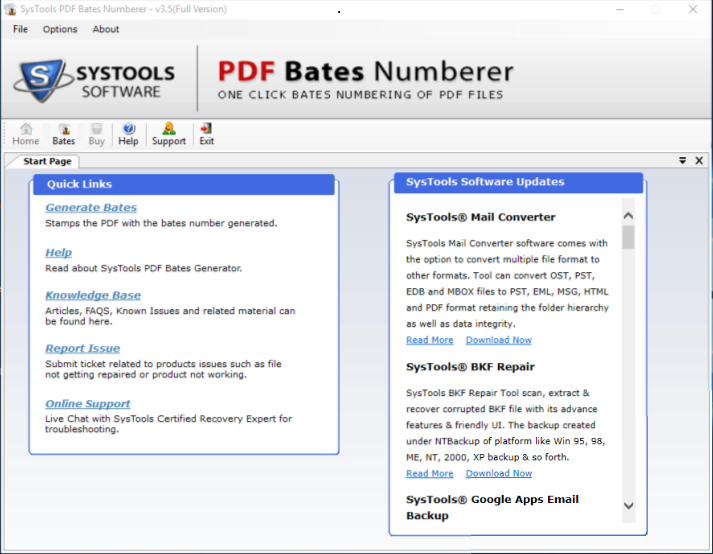 PDF Bates Numbering Tool also supports Windows Operating System 8.1, 8, 7, XP, etc. 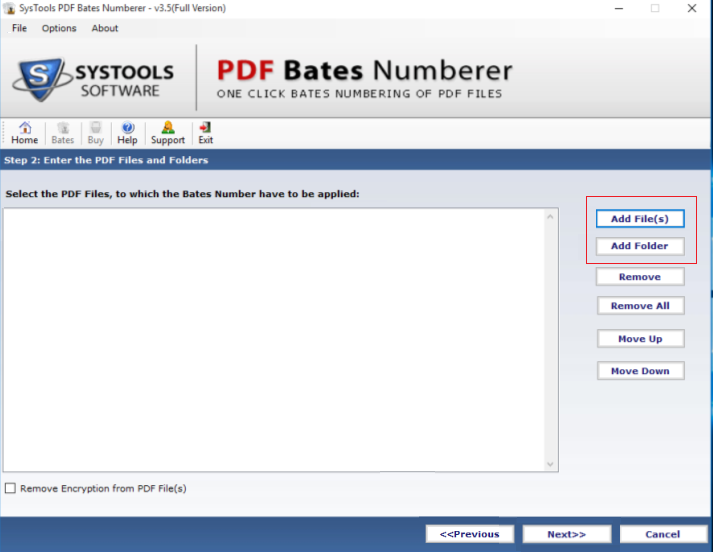 With this feature of the PDF Bates Numbering Tool, if users wish to add additional information on the Adobe PDF document then, they can do it. Additional Text Positioning: With this option, it is possible to set the place of inserted text. Users can set it on the Top Left, Top Right, Bottom Right, and Bottom left. PDF Bates Numbering program also generates completion report once the process is done. It gives multiple naming options to store the PDF document. First Bates Number:With the help of this option, user can save the file with first Bates number, which they have chosen during setting Bates number. 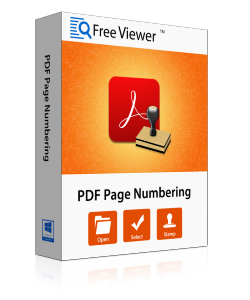 A demo PDF file is equipped with the PDF Bates Numbering Software, using which user can check each and every step of PDF page numbering. The demo version watermarks PDF Document with "Demo" after finishing stamping. Adobe Reader should be installed to read files. How can I insert bates in PDF files by this software? Does PDF Page Numbering Tool allow to edit the PDF text as well? Yes, if you want to you add some confidential information in your PDF document using this utility. 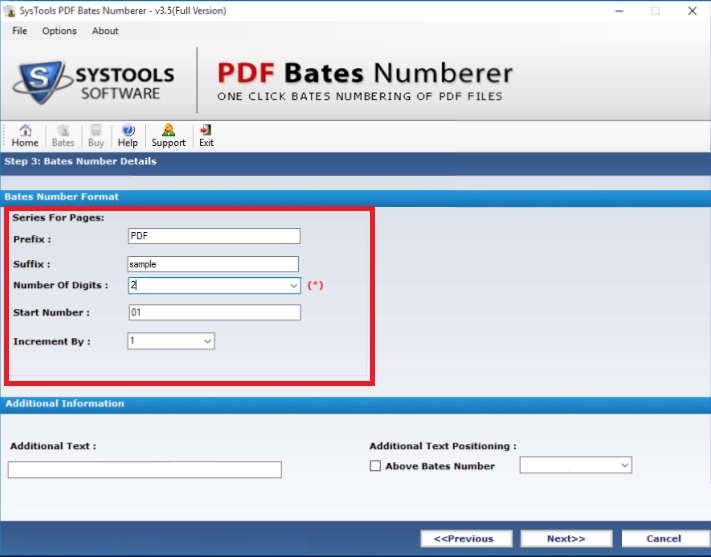 Is it possible to add page numbers to multiple PDF files in one go with this PDF Bates Numbering Software? Yes, the software permits you to insert page numbers in various files at once with no difficulty. Can I access the tool in Mac Operating System to add Bates numbering in PDF? No, our PDF Page Numbering tool can is designed for Windows Operating System only therefore, cannot be accessed in Mac. Is it feasible to add one line at the end of each page using this application? 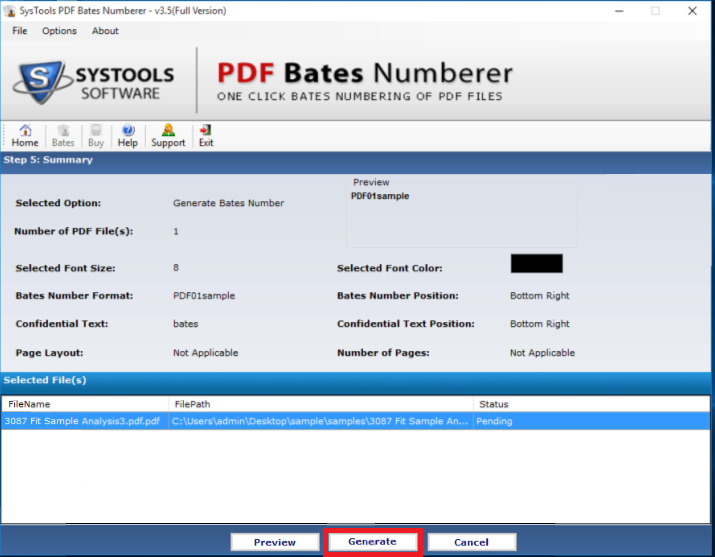 Yes, you can easily insert the line you want to add at the end of each page with this PDF Bates Numbering software. Can I run the PDF Page Numbering Tool without installing Adobe Acrobat on my machine? Yes, it is the stand-alone utility. Therefore, you do not need to install Adobe in the system to add bates numbers to PDF. Does the software has the potential to insert bates numbers to a password protected file? No,PDF Page Numbering utility will ask the password and you have to put it to add bates number to PDF document. “A superb utility with matchless features is the best description of PDF Bates Numbering Software. The hard work behind creating this application can be clearly seen in its such a smooth working. It helped me a lot to add bates numbers in PDF. Really, the software is very useful and with this I have performed the entire task quickly."